Now you can integrate your Google Search Console properties with your Unamo SEO Campaign with GSC data storage for up to 2 years! You’ll have all of your relevant SEO data on one platform to expedite your analytics and decision making processes. The integration will pull all of your data from GSC into Unamo with additional abilities to mix and match your data over longer periods of time. 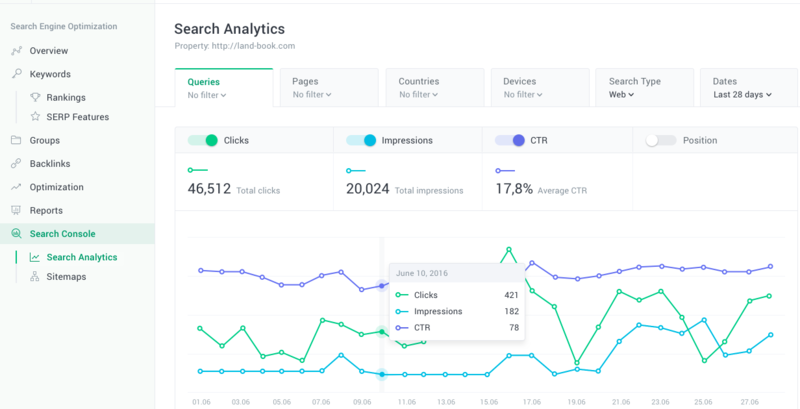 The ability to view ALL of your data from Search Console. GSC limits the amount of records you can see from the platform; but Unamo’s GSC integration will extract all of your data so that there are no holes in your analytical process. To integrate Search Console to your Unamo account, please contact our sales team at sales@unamo.com.